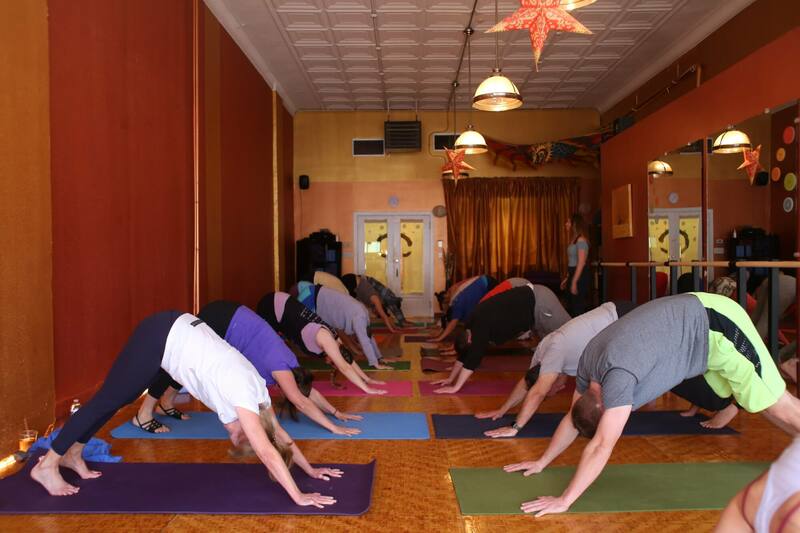 Center yourself at East Wind Studios: A Yoga, Tai Chi, Pilates & Meditation studio. Located in a wonderfully renovated suite in downtown Chesterton, we offer a variety of classes suitable for different levels, abilities and ages. Open 30 min before and after every class and workshop. Late Arrival: In consideration for the safety of our students, the door leading to the studio lobby may be locked after the start of class time if we do not have staff at the front desk. Classes start promptly at the time indicated on the schedule. (The following option does not apply to Hot Yoga classes) If you are less than 10 minutes late, you may go around to the front window of the studio off Broadway Street. The instructor will come back around to open up the door as long as the class is not already full. Please always sign in and check MIND BODY ONLINE for the most up to date class schedule! Pre-registration is required to guarantee your spot for Hot Yoga & Barre. Having health issues? East Wind Studios is associated with East Wind Acupuncture, a traditional Chinese Medicine Clinic also located in Chesterton, offering a full range of services including acupuncture, herbs and massage therapy. Check out ewacupuncture.com for more information.